Sam Still passed away October 7, 2017. Sam was a legendary Jersey diver and has been very generous in his donations of shipwreck artifacts to maritime museums. A memorial service was held for Sam on October 14, 2017 at which Sam’s daughter, Pam Halter shared the following memories of her father. The earliest memories I have of my dad are the many trophies and newspaper clippings of boat racing. Not only did “Sammy” Still win those races, he could also take a boat engine apart and put it back together again. This created the knowledge in me that my dad could fix anything. I still believe it today. Dad began SCUBA diving soon after that. We were thrilled when he came home with lobsters and flounder. They were fun to watch and delicious to eat. He also found things like port holes, a bell, a helm and a lot of china. I loved the proud feeling I had when I told my friends about the treasures Dad brought home from the deep, deep ocean. No one else had a daddy who could do those things. Dad also hunted and we enjoyed deer, squirrel and rabbit. My mom could make a mean squirrel stew, which I still crave now and then. I had a rich childhood, filled with our family doing things together. It was right and natural that we did these things. Did my dad say “I love you” often? No. But those words rang through every action; whether it was getting noogies, Indian burns, thumb wrestling, or air plane riding on his feet. We jumped waves and built sand castles for hours, even though Dad didn’t really care for the beach. Dad’s word for something that tasted bad was “yacky” and whenever I gave him meds while I cared for him the week before he passed, I would say, “Here comes your yacky medicine!” and I’d give it to him and slip in a mint. He took it all like a champ. Dad and Grandpa taught us how to play poker, using Mom’s button can. That was fun. But my fondest memory (sort of) is of playing Monopoly. Dad whooped me and Sandie every time we played – no exceptions – and every time we lost, we cried. And every time we cried, Dad laughed. Every time. This never deterred us from coming back for more. I have never beaten my dad at Monopoly to this day. In the summer, we’d go crabbing with Grandpa Still and come home with crabs a plenty which Grandpa steamed with LOTS of Old Bay. We’d sit on the boat and eat those crabs, lips burning, but not caring. Dad fixed quite a few pitchers of ice water and Grandma would sneak me sips of beer. Sandie always picked her crab meat and saved it to eat all at one time. Dad always stole some. Dad would go out diving on Saturdays and we spent the time on Grandpa’s boat. The most exciting time of the day was spotting Dad’s boat coming up the harbor. We couldn’t wait to see what they had found. Dad even let me help wash the boat when I was big enough, and Grandpa taught me how to scale the fish Dad caught. I have to say this, although it’s been said so many times before. Dad always ate the ears off our Easter bunnies. Always. Dad used to whip me good when I was caught lying. I lied a lot. You would have thought I would learn my lesson after a couple of times, but I suppose I’m as stubborn as my dad. While no punishment is pleasant at the time (as the Bible says) it does produce a righteousness and develops a sense of right and wrong. Of course, I didn’t always get in trouble for lying, but whatever I did that I wasn’t supposed to do, Dad always caught me. I could never figure out how he knew, but he did. Now that I’m a parent, I understand. As I said before, I believed my dad could fix anything. He also had a way of making us trust him, although why we did sometimes, I’ll never know. Dad could not only fix our toys, but he pulled our teeth with pliers and dug out splinters with a needle. I still have scars on both my hands. He’d light a match under the needle, grip my hand and get that piece of wood out no matter how long or loud I screeched. Then out came the infamous black salve (I still have a small bottle) and band aids and I had a battle wound to show my friends. Dad was not a man known for patience (it had taken a neighborhood friend to teach me how to ride a bike,) so when it came time for me to learn to drive, I was nervous. But we both survived me learning how to work a stick shift and getting the “talk” about boys, and I got the family car when I was seventeen – a 1968 Volkswagen Bug named Herbie. I loved that car and still remember the license plate number, which Dad made me memorize: 889 FGH. And knowing my dad, our name was probably somewhere on that car, because Dad labeled EVERYTHING. He also taught me how to change the oil and the tires. If Dad wanted something done today, he really meant yesterday. Dad often sat up late with me on Friday nights to watch spooky movies. I would sit on the couch and he’d sit in the recliner in his underwear. I thought it was cool that my dad would do that with me. Dad rode his bike to work, which was also cool until he made me do it when I got my first job at 16. Dinner was always at 430pm and you did not come home one minute late. Ever. Dad loved fried boloney with cheese and mustard sandwiches, lots of black pepper on Mom’s homemade vegetable soup, and twisty Jewish bread which we were allowed to break apart with our hands! We had these delicacies often on Sunday afternoons in the winter. Sometimes we ate in the living room while watching a Godzilla movie. The whole family did this together. It was a real treat. I made Dad a grandpa while he was pretty young, 42, and Scotty loved helping his paw-paw fix things. Dad always had time for him, just like he did for me. Dad’s love for playing games didn’t diminish as we grew older. Daryl and I and Mary (and her friend, Heather) often enjoyed games with Grandpa like Phase Ten and Mexican Train. Dad loved getting the family together and we had cookouts and went to dinner and took vacations and spent holidays together. He was delighted to become a great-grandpa and it was fun to watch him do some of the same things to them as he did to us kids and our children. I could go on for way longer than any of you want to sit here and listen, so I’ll stop here with these kinds of memories. What I would like to share with you are some of my thoughts of Dad’s last week on Earth. I want to share the blessing, the joy, the comfort, and the hope I saw. Things only God could give. we got the prognosis this morning. His cancer is high level lymphoma and it’s very aggressive. It’s not responding like the doctor hoped to the Rituxan. He’s given Dad a few days to a couple of weeks, so we’re taking him home tomorrow on hospice. The goal now is quality of life. He’s at peace. In fact, he looks like a weight has been lifted off his shoulders. He knew all along and he says he’s going to be okay. Thank you all for your prayers. God is good and we are praising Him for my dad’s life! Please pray for my mom – she’ll need it more than the rest of us – but she’s also at peace while grieving. he’s resting comfortable and his pain is being managed and he’s even eating and drinking a little. We were swamped with visitors this weekend and I’m going to schedule visiting hours. Every person who comes, depletes his energy. It’s so hard to watch him say goodbye to every person. It’s hard on my mom, too. They want to see friends, but we’re going to have to space things out. Please pray people will honor this. Thanks. An observation I’m gleaning from caring for my dad on this journey Home; active grieving and the peace that passes understanding seems like it would be a tug-of-war in the body, but it’s not. It’s a beautiful blending of threads of joy, peace, sorrow, laughter, strength, suffering, and love. Some threads are delicate, like the laughter. Some are strong, like peace. Others are sparkly, like joy and sorrow. They are all working together to carry us and Dad while we wait for Jesus to call him Home. And your prayers help uplift that. Thank you. Dad is still able to talk and interact with everyone. He’s also bossing us around (that’s normal) and is planning out all his final arrangements. It gives him peace. Having visitors exhausts him, so I’m limiting how many friends can come in a day because I’m also fiercely guarding my mom’s private time with him. Everyone understands, which I’m so thankful for. We’ve had the usual gifts of food and offers of help, and it’s such a blessing. I do not know how anyone can take this journey without a relationship with Jesus. Thank you, Lord, for being so close, just as You promised. Friends, my dad’s time on Earth is short now. He told us at 130am today that Jesus is coming to get him in 3 days. That’s Saturday. And Dad said it’s getting hard to wait. 🙂 I wish I could capture in words the beauty and glory of this journey. The air is so thick with the Holy Spirit, I sometimes have trouble breathing. We’ve been sitting with him and praying and singing while he keeps looking up at the ceiling and smiling. I am learning in a new way when I’m weak, God is strong. But it’s breaking my heart to learn this lesson. Dad’s hanging in there, but this morning he told me, “One more day.” And he was happy to say it. Please pray for peace for him – this afternoon, he’s very agitated, which they tell me is normal. But it’s hard to watch. I can’t comfort him. No one can. Only Jesus. Clearly, news of Dad’s passing has spread. Thank you for all the love and prayers. We feel them. Mom & I are going to the funeral home this afternoon. I’m so tired, but thankful to have been able to care for my dad’s every need his last week. It was like caring for my child. He passed away quietly, peacefully – no struggle. We would have missed it if my brother hadn’t been watching. It was amazing to witness that we truly only wear a robe of flesh. It’s our souls that make us who we are. Dad is now fishing the River of Life and most likely teaching the disciples (many of who were fishermen) how to use a rod and reel instead of a net. Ha! I probably won’t be on FB much this week – lots for me and Mom to do – but I’ll check in once a day. Thank you, Jesus, for showing up a few hours early to get Dad. You know how he hated to wait. Thank you for your strength and peace. And thank you for securing our salvation. We do not grieve as those without hope. Legendary East Coast Diver, Tom Roach passed away peacefully at home on Saturday, March 19, 2016. He was 73 years old. 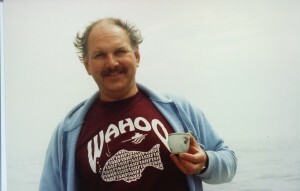 Tom was truly one of the leaders of early east coast diving organizations. After completing a stint in the army in the early 1960s, Tom, started looking for something ‘adventurous’ to do, so he took up the sport of skydiving, something he became interested in while in the army. After a few years of jumping, and unfortunately seeing a few of his friends killed, Tom decided to take up scuba diving because…“I wanted to get into a safer sport.” Little did he know that at that time, in the mid to late 1960s, the mortality rate among scuba divers was actually higher than that of skydivers! After completing a basic scuba course at the local Philadelphia YMCA, he started diving the local quarries and eventually started diving the shipwrecks off New Jersey in small private boats. Over the next dozen years or so, Tom personally made it possible for hundreds of divers to become acquainted with the fine shipwrecks of the Northeast. He joined a small diving ‘club’ known as the Eastern Divers Association (EDA). In the late 1960s, the Eastern Divers Association (EDA) was floundering. Boats were not getting filled, divers were not showing up for charters. There was a real possibility of EDA folding. Tom was hungry to continue his new found love of diving, and offered to take over EDA. Tom took this small failing, loosely-organized group, made up of a handful of adventurous, eclectic individuals and built the organization into one of the most respected group of divers on the Northeast coast in its day, with well over 100 ACTIVE DIVING members! 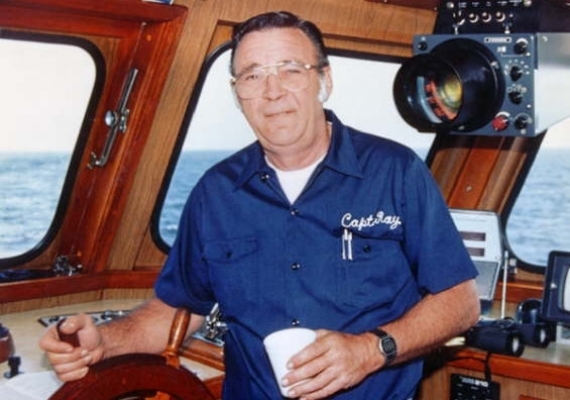 Over the next 10-12 years, Tom personally traveled up and down the entire eastern seaboard talking to, and convincing, fishing boat captains to allow his divers to charter/fill their boats in the off season, when otherwise the fishing boats would lay dormant in port. EDA prided itself in the ability of its divers to dive in almost any weather condition. “Impossible” and “Can’t be done” was not in EDAs vocabulary. EDA’s motto of “If you can hook it, we can dive it.” attested to the enthusiasm and ability of the EDA divers under Tom’s skilled leadership. EDA never had a monthly meeting or annual banquet. Tom’s unique and persuasive personality was enough to gather together some of the top divers of the 1960s. Those who dove with EDA under Tom’s leadership boasted such legendary individuals as Mike deCamp, John and Evie Dudas, Capt. George Hoffman, Geri Murphy, Bill Palmer, just to name a few. The diving world they lived in, at that time, was in its infancy, and dangerous, where there was no room for mistakes and the ocean was unforgiving. The Eastern Divers Association took deep sea diving along the Atlantic coast to its known limits, [and occasionally….beyond]. They helped pioneer, or improve some of the equipment and/or techniques divers use today. Such items as Pony Bottles, Wreck Reels (for traveling inside wrecks….these were fashioned out of construction workers wire spool reels), “Jersey Up Lines”, which were basically sisal rope wound on a broomstick handle and strapped to the scuba tank with strips of inner tubing. Techniques for wreck penetration and decompressing were experimented with and perfected on many of EDAs deep dives, though not always successfully. Nearly 4% of EDA divers perished during their dives. In many cases, under Tom’s leadership, it was an EDA diver who was first, or one of the first to dive on and/or identify/photograph, such wrecks as the Stolt Dagali, Pinta, Texas Tower, Ayuruoca, I.P. Goluandris, M.S.Varanger, USS Bass, USS San Diego, Oregon, U-boats 85, 352, and 853, along with many others. In the 60’s and 70’s, there were not many published articles about New York and New Jersey area shipwrecks. Tom Roach and others wrote articles about the wrecks that brought national attention to the great wreck diving available to east coast divers. In the over 12 years of its existence, there was hardly a weekend that went by that there wasn’t an EDA charter going out, somewhere on the Northeast coast, and Tom was on most of them. From December through April, regardless of the temperature! Many a boat captain could thank EDA for helping them through the cold winter months…before the “regular” dive season started. To give you an example of what Tom Roach did for EDA and for the sport of Northeast wreck diving, in 1971 EDA divers conducted 215 dives; in 1976 – over 1200 dives! 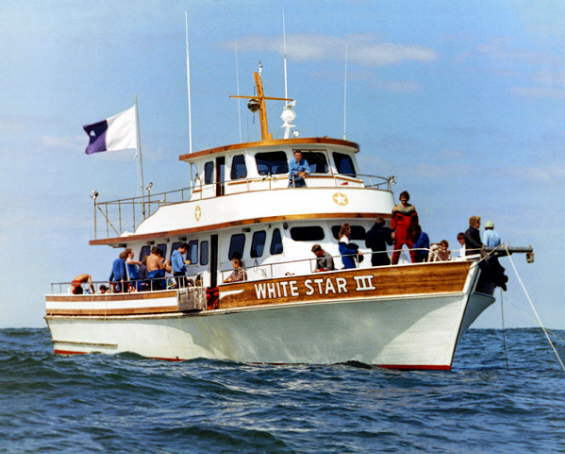  1971: EDA ran 37 dive charters totaling 215 dives.  1972: 51 dive charters totaling 386 dives.  1973: 58 dive charters totaling 583 dives.  1974: 65 dive charters totaling 737 dives.  1976: 53 dive charters totaling 1201 dives. In just 5 years Tom added nearly 1000 dives!…and all of them filled, usually with a waiting list too. That is almost 500% increase in dives! No other dive club, shop or organization was ever able to do this. EDA chartered boats from Rhode Island to North Carolina, and had dives scheduled from January to December. 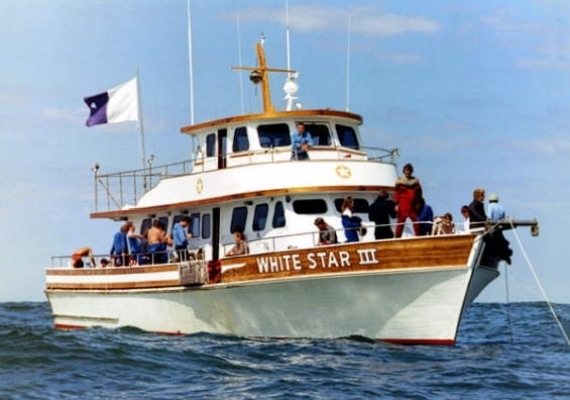 EDA was one of the first out of state groups to charter George Purifoy’s dive boat in Morehead City, NC. A boat captain & crew never had to question a diver’s skills or abilities on his boat if that diver was a member of EDA — Eastern Divers Association. In the early 1970s, once again Tom traveled up and down the coast to find a commercial vessel large enough (and willing) to venture fare offshore on a multi-day trip to the Andrea Doria. Tom pulled together some of EDAs top divers for an expedition to the fabled Andrea Doria. In an era where less that two dozen non-commercial divers had descended to the wreck. It was a time before dive computers and dry suits, when divers wore ¼” wet suits, used twin 72cu.ft. steel tanks, a submersible pressure gage and a watch…..and not much more. There was no tri-mix, rebreathers, etc. “air” was the gas they used. Less than two dozen non-commercial divers had descended to the Doria prior to EDA’s expedition in 1974. To give you an idea as to the persuasive power Tom had with the divers of those early years, in 2008, over 40 years after EDA was formed, Tom sent letters to as many EDA members that he could find, some of them he had not seen or heard from in over a quarter of a century. He had invited them to attend the 2008 Beneath The Sea convention, where Tom would show for the first time, a presentation about EDA and early east coast wreck diving. Over 25 original EDA members attended the BTS presentation. For those of us who knew Tom, had the good (great) fortune to dive with him, be on one of his charters, to learn from him…Tom will be deeply missed. Richard Thomas Clinton, Jr. passed away peacefully on April 3, 2015 at his home. He was in born in Weymouth, Massachusetts. Rick owned and operated his own construction company until he retired in 2009. He was a dive master and held his boat captain license. Diving was his passion and he participated in several large savage operations around the world. Rick was preceded in death by his father Richard T Clinton Sr. beloved daughter Kelly Clinton and the love of his life Lyn Clinton. He is survived by his mother Virginia Clinton, and five siblings, Christine Pochwat and spouse Mitchell Pochwat, Mark Clinton, Gregory Clinton and spouse Vicki Clinton, Dan Clinton and Tracy Clinton. He also leaves behind thirteen nieces and nephews whom he loved dearly. 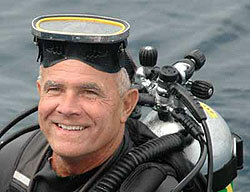 Gary Smith was the most gentle and giving person to share diving with. He was a longtime Divemaster for several boats, clubs, shops and for the past dozen plus years has been divemastering, in particular on the Dina Dee, assisting in classes and has been a cornerstone mentor for Atlantic Divers. 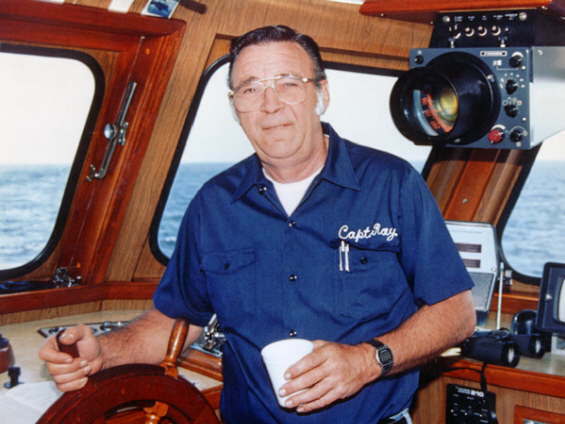 Gary was passionate about wreck diving, collecting and spearfishing. More than any other activity, Gary enjoyed taking new divers under his wing and imparting his great knowledge of diving, the sea, and his philosophy of how to be a good parent, husband and friend. He continually shared his detailed stories, Yodels, sandwiches and sodas on every trip. His good nature never faltered. He was tireless, dedicated, cheerful and unassuming. Gary never complained and always contributed. Gary passed away after a routine dive on the Great Isaac. After sharing a normal ascent with his dive partner, Gary swam to the boat and landed his catch of mussels. He then ascended the ladder on his own power. He was not rescued from the water. To set the record straight….there was no foul play, nor was it a diving accident. He collapsed on the boat AFTER HIS DIVE! The crew of the Dina Dee handled this tragic event with professionalism, efficiency and with great care for their dear friend Gary. 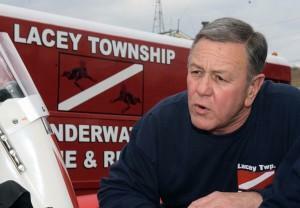 Gary Smith founded the underwater search and rescue team in Lacey. He dedicated his life to helping others. We shall never forget his gentle ways and acts of kindness. MOREHEAD CITY — A city native and a pioneer of diving in North Carolina, George Purifoy, 63, died Sunday doing what he loved most. Mr. Purifoy had a heart attack Sunday evening while out on his boat based at his longtime business, the Olympus Dive Shop on the city’s waterfront. “He did more for diving in North Carolina than anyone I know,” she said. Mr. Purifoy took his first dive in 1961 and nearly 7,000 dives later he managed to pass his love and passion on to his son Robert and countless numbers of divers. He is credited for the discovery and identification of numerous shipwrecks off the coast of the southern Outer Banks, most notably the WWII submarine the U-352 and the USS Schurz. “He was passionate about diving and about discovering new wreck sites,” Mrs. Lohr said. “He met the U-352 survivors and paid for their trip to come here and pay their respects to their fallen comrades. Mrs. Lohr said Mr. Purifoy’s son Robert is equally as passionate about diving. “I think it instilled in Robert his love for the sea. It’s obvious the tradition will continue,” she said. 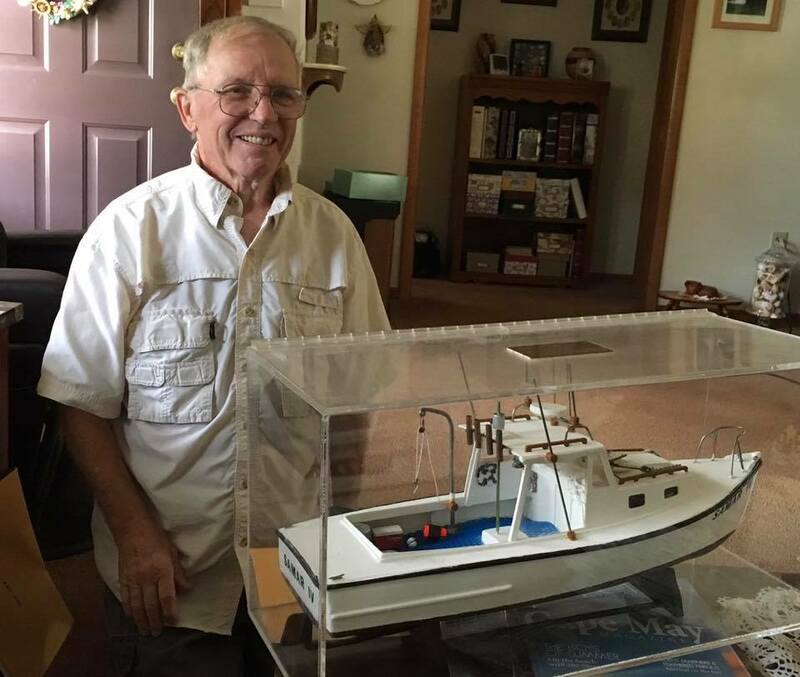 Mr. Purifoy was well-known in his community because Mrs. Lohr said he wanted to see the Morehead City waterfront develop into a showcase, and he paid attention to civic opportunities. She said he even offered free trips to writers just to get them offshore. Mrs. Lohr said Mr. Purifoy wanted to see Morehead City become a destination, and he always kept his dive shop professional. “He has done so much for the dive community. I just hope he’ll be remembered for his passion and love of dives from the historic aspect,” Mrs. Lohr said. “He knew when he found a wreck what that ship meant to the crew and what it took to preserve and restore it for others to enjoy. Rick Allen and his wife Cindy Burnham have also known Mr. Purifoy for about 25 years and said in the diving world he is a legend. Mr. Allen met Mr. Purifoy in 1983 when he went on his first dive. Mr. Allen and Mrs. Burnham live in Fayetteville and own a home in Morehead City. They come to the coast on the weekends to go dive. “He will surely be missed because he was a solid fixture,” Mr. Allen said. Mr. Purifoy, before diving full time was a diesel mechanic by trade and owned a repair shop for nearly 25 years. 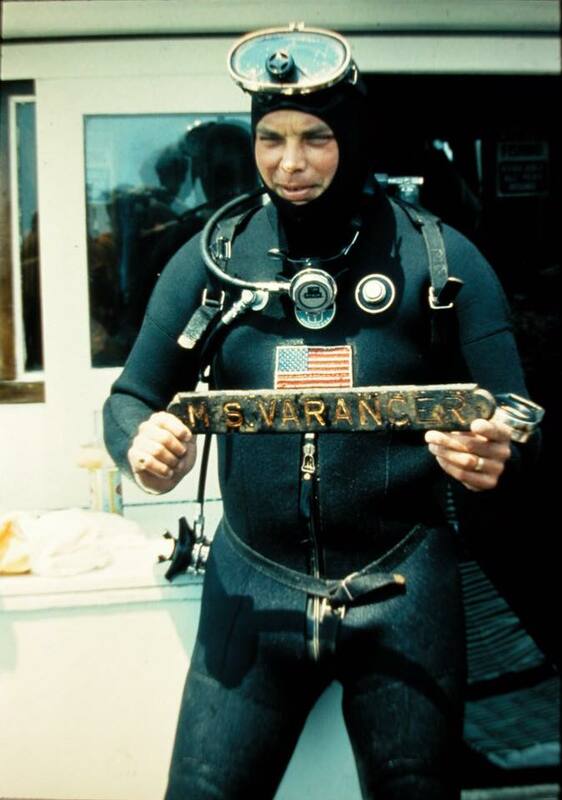 In 1975, the introduction of Loran C, the predecessor to GPS, revolutionized the state’s diving industry by enabling boat captains to relocate wreck sites. Mr. Purifoy began running a small dive business in 1976 with a compressor, rentals,\ and weekend charters aboard the 47-foot, twin-engined Atlantis II. The business expanded in the late 1970s with the purchase of Olympus I, a 57-foot, wooden-hulled head boat and the addition of Olympus Gym, Morehead City’s first fitness center. The current dive shop was built in 1982 and the 65-foot aluminum-hulled Olympus used today was purchased in 1986. Mr. Purifoy went into diving full time in 1990. Brooks Funeral Home is handling the arrangements. HONOLULU (AP) — Frank Mundus, the legendary shark fisherman said to have inspired the Captain Quint character in the movie “Jaws,” has died. He was 82. Mundus died Wednesday at The Queen’s Medical Center in Honolulu after a heart attack, his wife said. It was his second heart attack in four days. He suffered the earlier one Sept. 6 at Kona International Airport after returning from a business trip to New York. Mundus had a history of heart disease, his wife, Jeanette Mundus, 46, said from their home in Naalehu on the southern tip of the Big Island. He suffered his first heart attack in 1998 and later had quadruple bypass surgery. Known as the “Monster Man” for the size of the sharks he caught, the gregarious Mundus had an outsized personality nearly as big as his famed boat, the Cricket II. He forged his reputation as a fearless fisherman in Montauk beginning in 1951, hunting down the world’s biggest sharks. In 1964, Mundus used a harpoon to snag a 4,500-pound great white. He later bagged a 17-foot-long, 3,427-pound great white by rod and reel in 1986. He later described the experience to Esquire magazine. On his Web site, Mundus said events from the 1964 catch influenced Peter Benchley, who wrote “Jaws.” But Benchley maintained that Quint was a composite character. The best-selling book was turned into the 1975 film, a blockbuster that left many beachgoers thinking twice about taking a dip in the ocean. 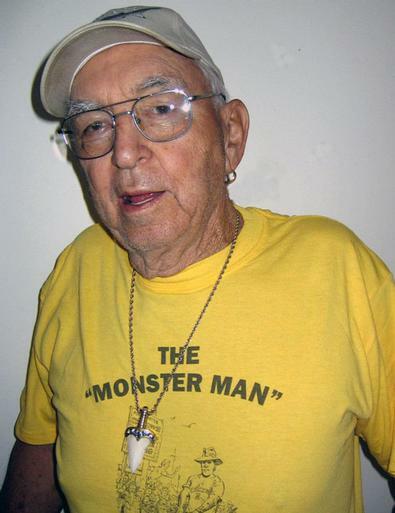 Mundus, who was born in Long Branch, N.J. in 1925, called “Jaws” the “funniest and the stupidest” movie he had ever seen and said he some things in common with Quint such as similar fishing techniques. Jeanette Mundus said her husband actively promoted shark conservation starting in the 1960s. He pushed the use of less damaging hook varieties that allow fishermen to catch and release the fish. 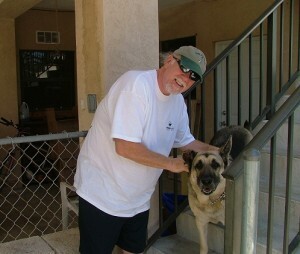 Mundus retired to Hawaii in 1991 after a lifetime of fishing. He didn’t regularly fish for sharks off Hawaii, his wife said.